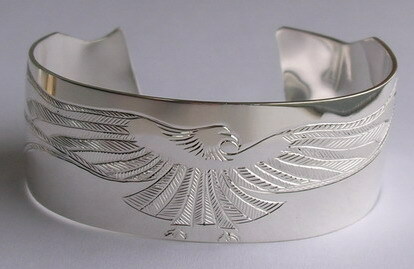 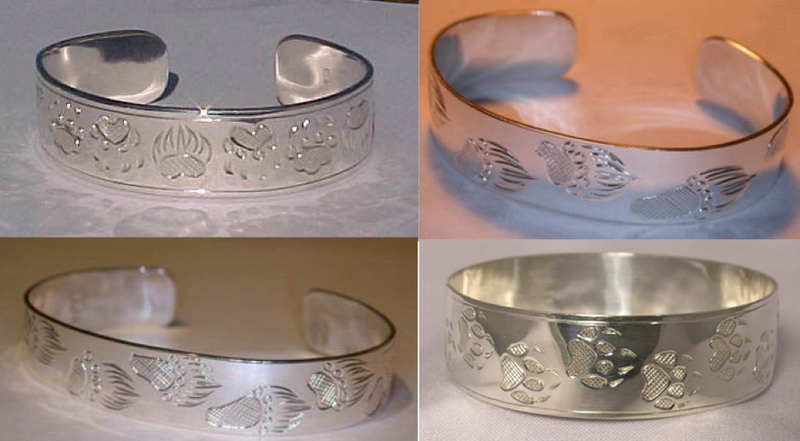 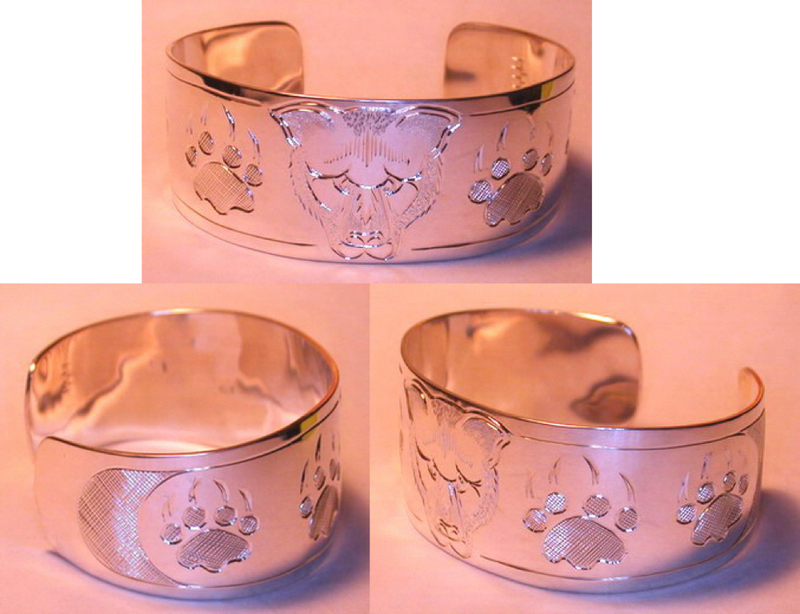 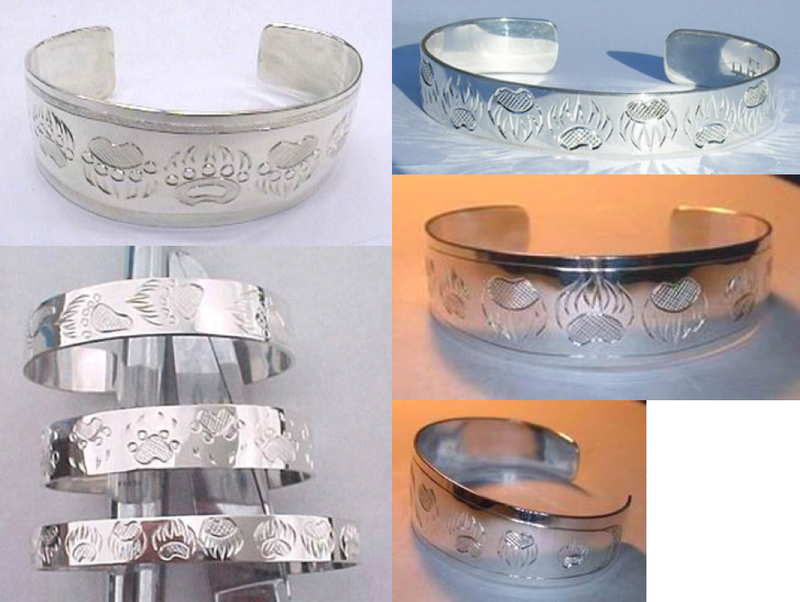 Silver Bracelets , mostly Cuff style, by Bearclaw Native Indian Jewelry. 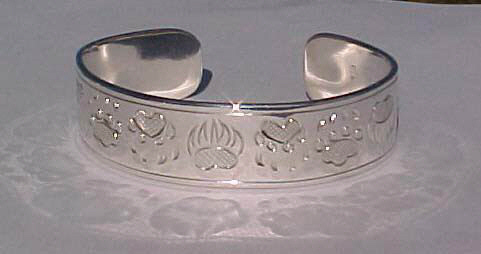 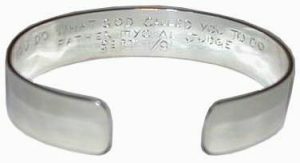 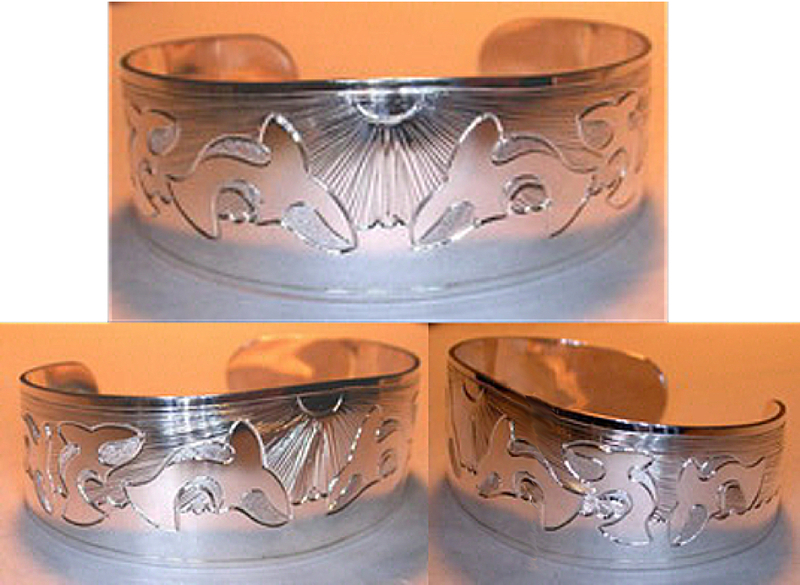 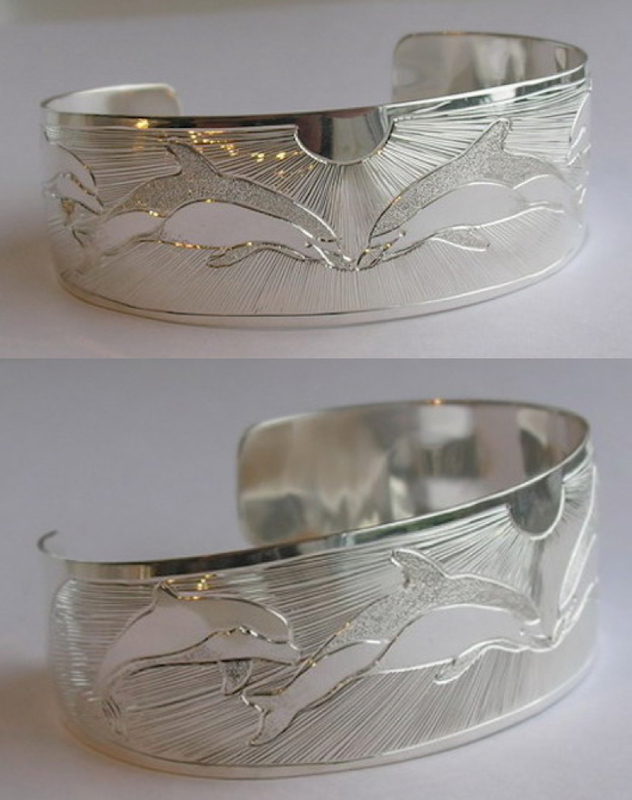 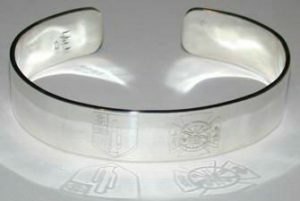 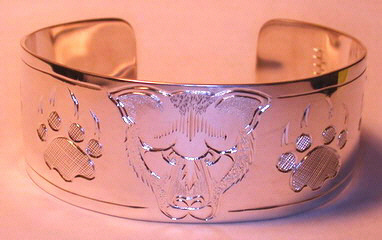 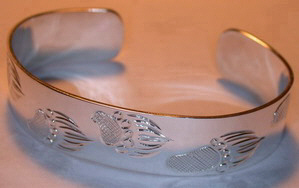 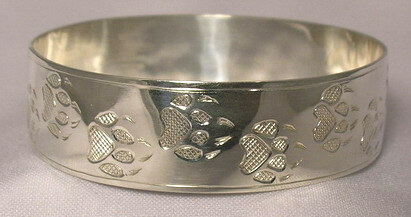 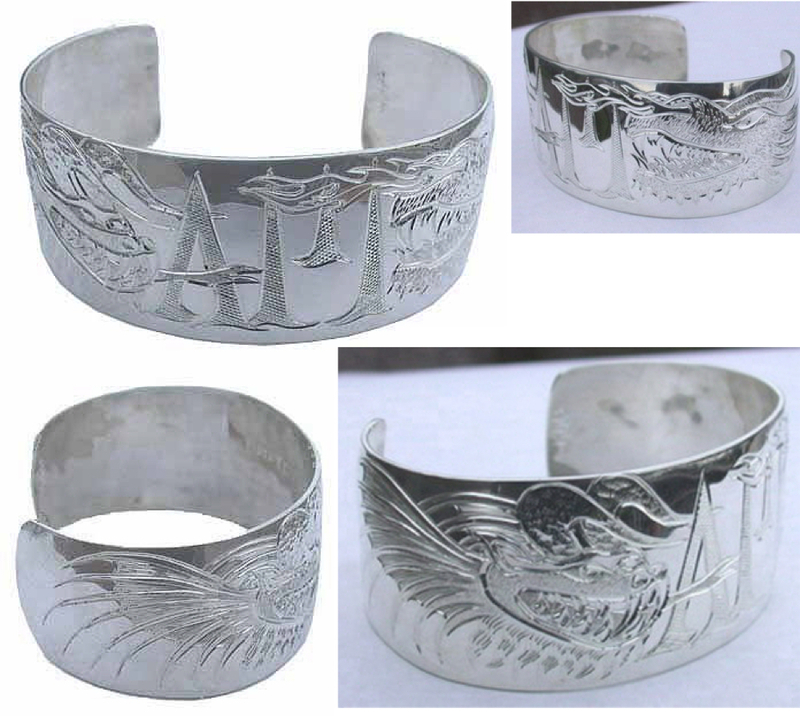 Hand Engraving ,Unique Chipewyan silver gold jewelry. 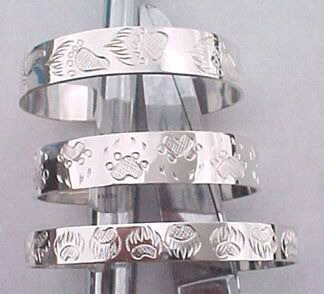 Motif’s include animal and nature designs such as wolf ,bear, grizzly, hummingbird, raven, flowers and landscapes. 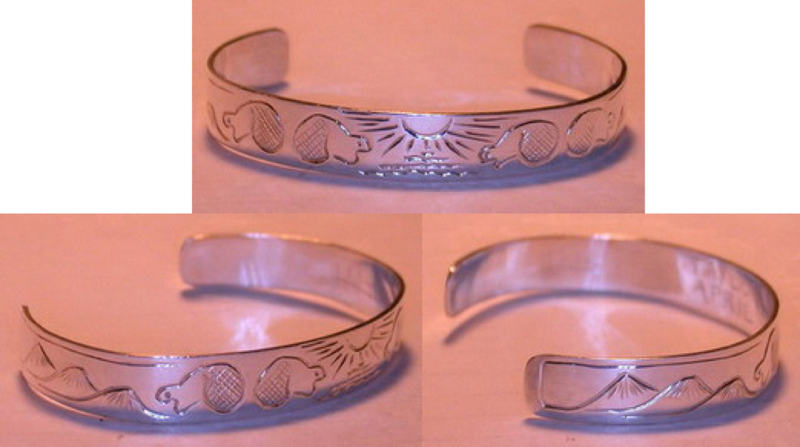 (also known as Orca or Blackfish) is an important medicine animal to the Native American tribes of the Northwest Coast. 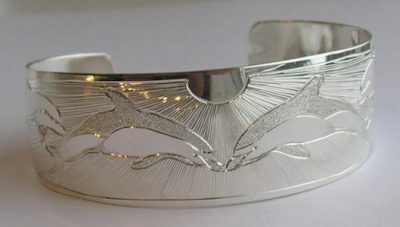 Killer whales are considered a particular symbol of power and strength, and catching sight of one is considered a momentous omen. 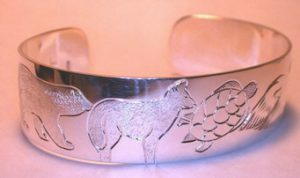 Native American Beaver Symbolic Meanings. 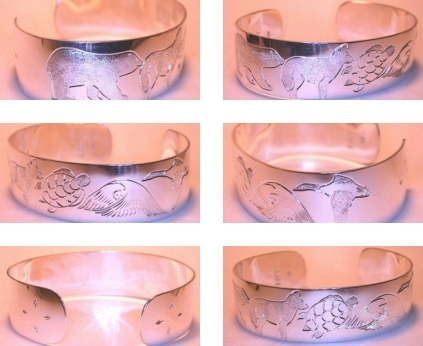 Beavers play a role in Native American symbolism, particularly in stories from various tribes. 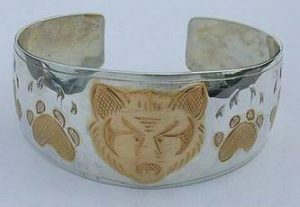 Typically this creature as a diligent preserver and benevolent creature who protects people by building a dam that holds out invaders and monsters. 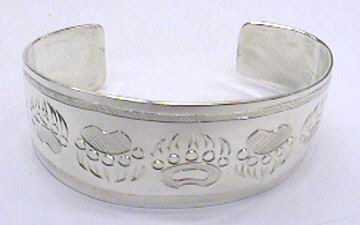 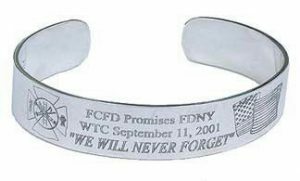 They traditionally symbolize potent and auspicious powers, particularly control over water, rainfall, typhoons, and floods. 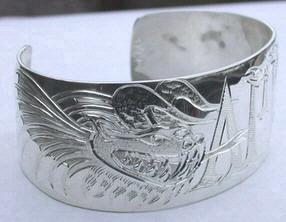 The dragon is also a symbol of power, strength, and good luck for people who are worthy of it in East Asian culture.